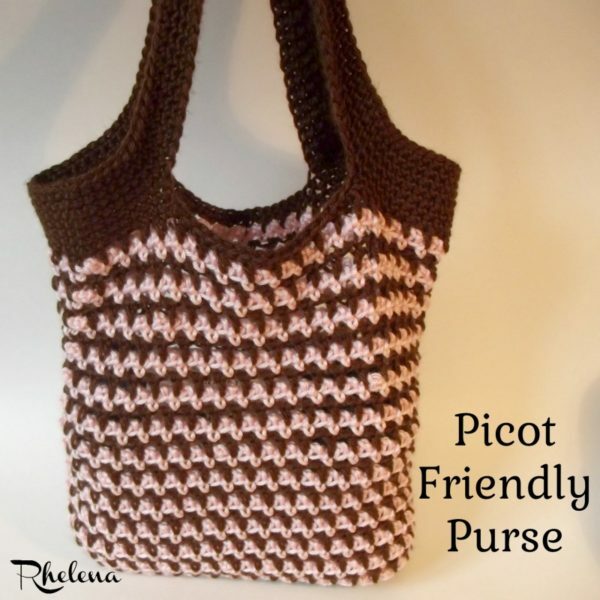 The crochet picot stitch is perfect for adding a nice trim to just about any project. It’s also great for incorporating into the main fabric of just about any project that you like. Thus, the possibilities as to what you can do with this stitch are endless. The picot stitch is simply a series of chains that are looped into a point with a slip stitch. Personally, I like to make mine with three chains and then working a slip stitch into the third chain from hook. But you can do more or less, whatever you like. 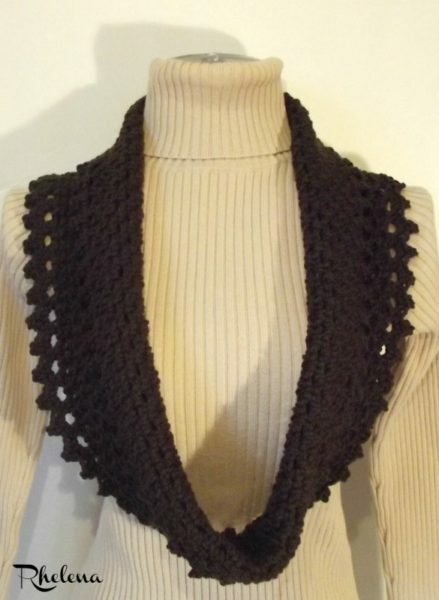 Thus, you can crochet a fairly solid fabric or a beautiful lacy fabric. 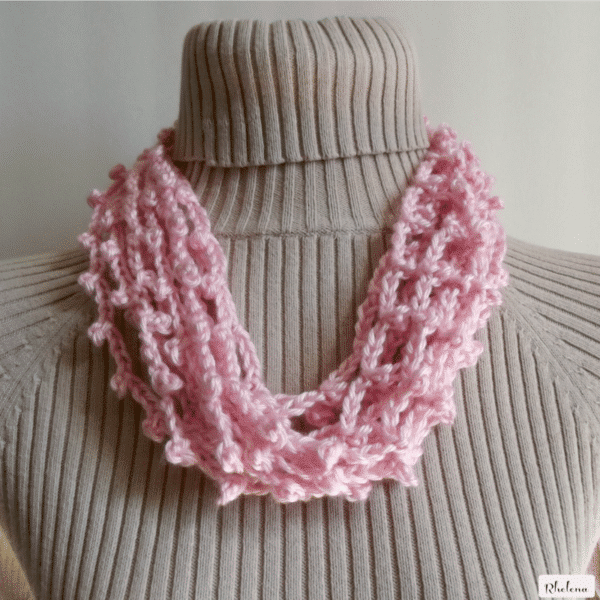 There really is no right or wrong way of crocheting the picot stitch; as long as you like the outcome and are consistent throughout the project. 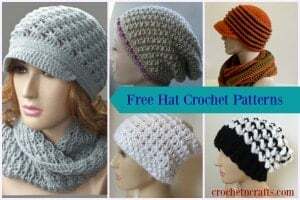 Here is the main category for picot crochet patterns, or scroll down to below the tutorial for some of my favorite patterns that use this stitch. 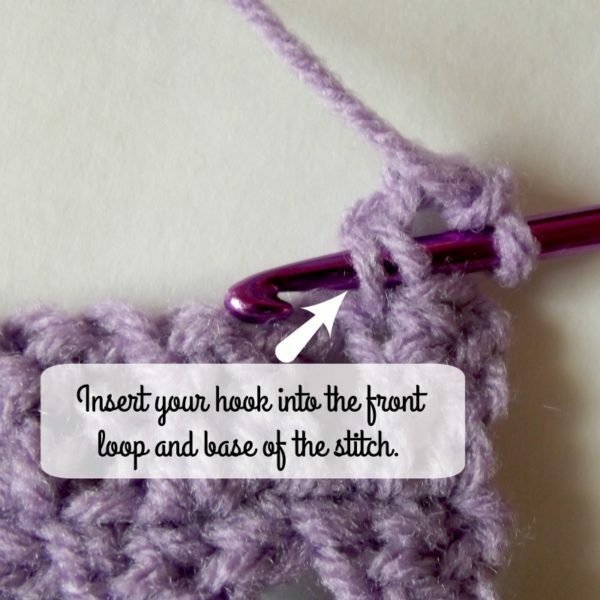 In this tutorial I’d like to show you three ways that you can make the stitch. 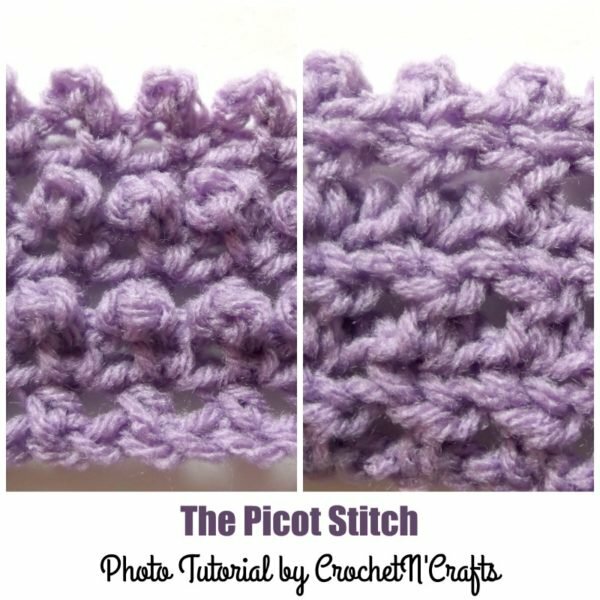 The first image shows you how to make the picot from start to finish. The rest of the images focus only on the hook placement to get the look that you want. To make the picot, you simply make your chains and insert your hook where ever you like as demonstrated below. Then wrap the yarn over the hook and pull through all loops on hook. The image below shows how to make the picot in the third chain from the hook catching only the front loop. This method causes the picot to “pop” to the back side, but still looks great on the working side, especially if done in a contrasting color. 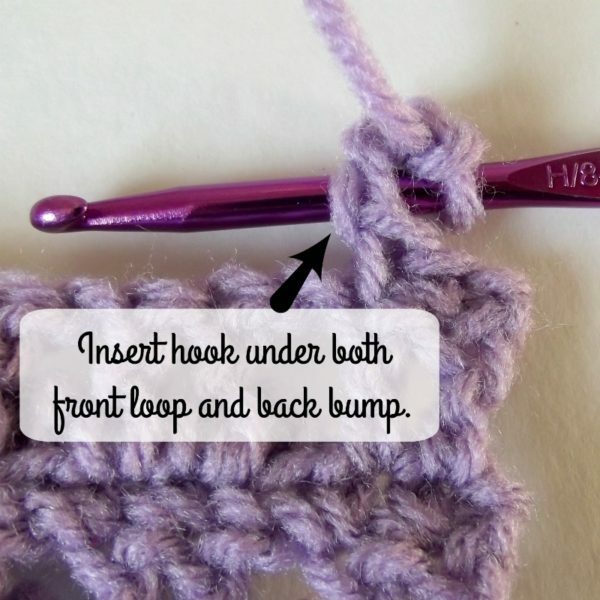 Another way to crochet into the chains is to catch both the front loop and the back bump. This way the picot doesn’t pop to the back as much, making it great for when you want it showing up on the working side. Catching both the front loop and Back Bump. Sometimes the pattern will tell you to slip stitch into the top of the last stitch made. In this case you catch the top front loop and the base of the stitch. So essentially you are going directly into the stitch to secure the picot. In the photo below you can see how it’s used as an edging. 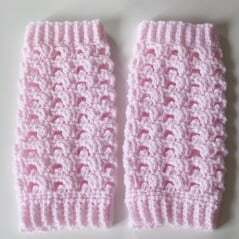 Then in these baby leg warmers, they are worked directly into the fabric. Another project where they are worked into the fabric, but in two colors to really bring them out. And yet another way that I discovered is that you can make a long chain. In the image below you can see it worked into a cowl, but using the technique you could also make a quick and easy garland for the holiday tree. 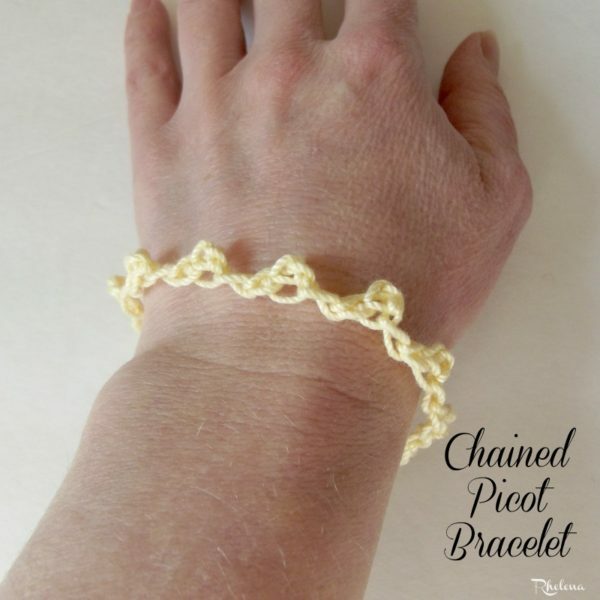 Or, how about a cute and simple picot bracelet? 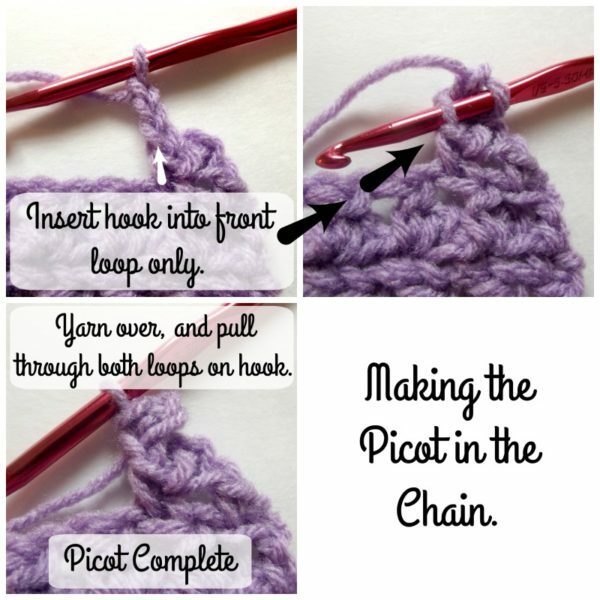 So I hope you’ve enjoyed this tutorial on how to crochet the picot stitch.